The Cass County Candidate Forum met last night at the Harrisonville Community Center. The democrats weren’t present. Their party strictly controls their primary—there isn’t one. They don’t allow contested races. The only ones at the forum were ‘Pubs for three contested races between the county GOP conservatives and members of the Oligarchy who created the mess that plunged the county deeply in debt. The current office holders are working and making progress against that debt by returning the county to its principle areas of responsibilities. The races covered was the Presiding Commissioner, Associate Circuit Judge, County Auditor and Circuit Clerk. Amy Bell, Kim York’s opponent for Cass County Circuit Clerk, withdrew a week or so ago as part of an agreement with the judicial system ending her service as Circuit Clerk. Kim York is now unopposed and will take office at the beginning of the new term. Regardless, she appeared alone and answered question as did the rest of the candidates. The forum began at 6:30pm with introductions by each candidate. I noted a couple of…interesting items. All the candidates had two minutes for their responses and answers to questions with a one minute closing statement. Dave Morris, who ran for state senator against Scot Largent and Ed Emery in the last general election, learned a few things since then. I took him to task then when he appeared at a GOP ‘meet the candidates’ meeting wearing shorts, t-shirt and flip-flops when Messrs Emery and Largent wore suits. I said at that time, Dave Morris wasn’t ready for prime time, i.e., his lack of experience in public office and the professionalism needed for state office. I’m sorry to say, he still isn’t ready for prime time. In a subsequent question, Dave Morris was first to be asked, “What is the most positive act by the County Commission in the last ten years?” After a minute or so of stammering, he admitted he couldn’t think of anything. Jeff Cox, when asked the same question, immediately answered with killing the TriGen and Broadband projects that were pushing the county into bankruptcy. The comparisons between Judges Meryl Lange and Stacey Lett were distinctive as well. Ms Lange has been practicing law for well over twenty years. Ms Lett for eleven years if I heard her correctly. Stacey Lett said that she has managed her own law office, and had experience with the local US Attorney’s office and other similar offices. It was unclear if Meryl Lange had ever done so, although she said she was once a lawclerk for a Supreme Court Judge. I didn’t recognize which judge that was so it must have been a state supreme court justice. The important difference between the two was that Stacey Lett, younger and with only ten years practicing law, had twice the experience as a judge. Ms Lett has been the Raymore Municipal Judge for the last three or four years and has personally handled over 9,000 cases. Ms Lange was appointed to fill a vacancy as an Associate Circuit Judge a little over a year ago. I did notice that Ms Lett answered the questions given her while Ms Lange did not, using the excuse of maintaining her impartiality prohibited her response to some general answers. I suppose that is one method of not making a statement on her views of being a judge. One statement that struck me, when Ms Lange actually answered a question, was her claim to have “handled 100 cases in less than an hour.” That means each case had only 36 seconds of her attention. It does make one wonder how she could do so and give each decision the necessary scrutiny any judicial case deserves. The questions to Ron Johnson and Ryan Wescoat was fiery as expected. To call this race for Cass County Auditor a grudge match would be a great understatement. Ron Johnson was elected in 2010 ending decades of auditorial neglect by a string of democrat office holders who did not perform a single audit since the 1970s. During that time, the county auditor, “was an accounts payable office,” said Ron Johnson. Ryan Wescoat was an employee in Johnson’s auditor office when that office uncovered the fiasco of the TriGen and Broadband projects. I’ve written about his discovery in a post some years ago. Mr. Wescoat wasn’t an employee for long. He was fired for insubordination and, without authorization, releasing documents and approving payments to UAM, the company being sued by the county for non-performance on the TriGen and Broadband projects. Since Wescoat’s political backers are the same former commissioners under investigation, Brian Baker and Bill Cook, one may suspect Wescoat’s motives running against his former boss. Mr. Wescoat, during the initial introduction, went into great detail about his education and teaching experience. It brought to mind the saying, “Those who can, do; those who can’t, teach.” I made mention of that phrase in a Facebook posting last night. My wife, a professor in a local bible college, was not amused by the allegory. When questions about the future of the county, both Dave Morris and Ryan Wescoat spoke at length about the need for economic development and taking advantage of the conversion of US 71 highway to Interstate Highway 49. At one point I had to wonder if Ryan Wescoat was running for Auditor or for the office of Director for Economic Development. I forget who responded, Jeff Cox or Ron Johnson, that unrestrained spending by the prior commission to push two economic development projects, nearly bankrupted the county. Johnson used his discovery of apparent nepotism by the Cass County Clerk, Janet Burlingame as an example. He reported the discovery to the County Clerk and asked her to change her practice to be compliant with the state’s nepotism law. When, after six months, she had done nothing, he reported the case to the county prosecutor. The case was referred to the circuit court where a judge dismissed the charge because it had occurred during a previous term of the county clerk. Ryan Wescoat’s answer was similar except for one step. After working with the office holder and not getting compliance, he would go to the County Commission, then the prosecutor. The problem with Wescoat’s process is that elected county officeholders are NOT subservient to the County Commission. The commissioners and officeholders are elected peers. One office is not subordinate to the other. The only point of contact is their budget. The Commission, working with the officeholders, creates a budget for the county and the offices. The Commission, after review with the officeholders, approves the budget. I suppose the power of the budget could be a device to use to insure compliance by an officeholder, but it would be a messy and long drawn-out affair, with, I suspect, lawyers involved in the end. Apparently, Mr. Wescoat’s view of the office of Auditor is more inline with the auditors before Mr. Johnson, an accounts payable office who rubber-stamps the decisions of the Commission without question. The concept of the Auditor being the ‘Check and Balance’ of the Commission and the elected officeholders appears to be foreign to Mr. Wescoat’s thinking. Overall, the distinction between the two political groups, the GOP conservatives and the Oligarchy seeking return of the old, corrupt methods of governance, was readily apparent last night. I make no apology for wishing the conservatives a win next week. Else…we can greet a return to unrestrained spending, debt, and the return of the county to the path of bankruptcy. I like to start out with the good. The Supremes released some decisions this morning, The Supreme Court banned warrantless cell phone searches. It was a win for 4th Amendment and privacy advocates. The Supreme Court ruled Wednesday that police cannot go snooping through people’s cell phones without a warrant, in a unanimous decision that amounts to a major statement in favor of privacy rights. Police agencies had argued that searching through the data on cell phones was no different than asking someone to turn out his pockets, but the justices rejected that, saying a cell phone is more fundamental. — The Washington Times. The decision was unanimous. That alone is striking. The article says the decision is a clear 21st century update of privacy rights. In answer to LEO questions about searching cellphones, Chief Justice Roberts response was simple, “Get a warrant.” This decision now places cellphones—and the information contained within, in the same category as a person’s home. “The fact that technology now allows an individual to carry such information in his hand does not make the information any less worthy of the protection for which the Founders fought,” Chief Justice John G. Roberts Jr. wrote for the unanimous court. He said it could lay bare someone’s entire personal history, from their medical records to their “specific movements down to the minute.” — The Washington Times. There is another similar case winding its way to the Supreme Court. In this case, the device is a laptop instead of a cell phone. A similar case that upheld a ‘legal exception,” known as ‘the border search,’ placed restrictions on searching personal tablets and laptops within 100 miles of the US border. The decision released today is a win for all of us, regardless. On the other hand, the bad occurred yesterday in Mississippi. Thad Cochran won the run-off election for the GOP Senatorial candidacy. He did so by asking democrats to illegally cross party lines to vote for him. An estimated 35,000 did so. Last night, Thad Cochran beat Chris McDaniel in a primary run-off and became the GOP’s Senate candidate in Mississippi. It wasn’t an honorable victory. Cochran won by getting Democrats to vote in a Republican primary. This was done by touting his support of food stamps. It was done by paying “walking around money” to buy votes. It was done by smearing Tea Partiers as racists. That’s what it took to re-elect a senile 76 year old man that few people even believe is mentally capable of serving out another term in the Senate. The cost of that victory was the integrity, personal honor and reputations of prominent Cochran supporters like Haley Barbour, Karl Rove, Mitch McConnell, John McCain and the NRSC, who were all undoubtedly congratulating each other on their sleazy victory last night, while today they’ll begin to try to distance themselves from the dishonorable conduct they winked at during the campaign. We may never know which of them was ultimately responsible for smearing Tea Partiers as racists or centering the run-off campaign around getting Democrats to vote in a GOP campaign. But what we do know is that if Haley Barbour, Karl Rove, John McCain or the NRSC found it unacceptable, they could have put their foot down and demanded the campaign put a stop to it. None of them did because they were just fine with using those sort of tactics to defeat grassroots conservatives. In return, they will probably get their doddering moderate senator elected instead of adding another grassroots conservative in D.C. But, the cost will be millions of turned-off conservatives, fund raising hits for the already failing NRSC, and even more animosity and venom between Tea Partiers and the establishment. What was it King Pyrrhus said after his “victory” over the Romans that cost him many of his best officers and troops? How many more “victories” like the one Thad Cochran won yesterday can the GOP stand without shattering to pieces? I call myself a conservative. At the moment, my allegiance is to the GOP…at the moment. The Cochran-McDaniel primary isn’t over yet. McDaniel has not conceded. “There is nothing strange at all about standing as people of faith for our country that we built, that we believe in. But there is something a bit strange, there is something a bit unusual about a Republican primary that is decided by liberal democrats.” –Challenger Chris McDaniel’s election night speech. — FOX News First, By Chris Stirewalt, June 25, 2014. Update: McDaniel will contest the election. More and more conservatives, Shawn Hannity among them, are calling for a third party. I’m not in that party controlled socialism to corporate socialism, I’ll have to look for an alternative. At times like this, that decision point seems to be getting closer every day. The campaign turned nasty from the beginning—from the Robert’s people. Milton Wolfe correctly, and truthfully, pointed out that Roberts has no permanent residence in Kansas. In Roberts’ own words, he leases a recliner in a friend’s home. Roberts has had no residence in Kansas for decades, but he still claims to be a Kansan. I expected Roberts to refute Wolfe’s claims. He did not. Instead, he went directly to smear mode. He produced supposed Facebook posts from Wolfe that supposedly disrespected clients and making disrespectful comments about some X-Rays. I have to admit that I’m biased towards Milton Wolfe. I’ve heard him speak and was impressed with his comments and goals. When Roberts released that ad, my immediately thought was how did Roberts get those Facebook comments? Did he hack Wolfe’s account? Did he hire some hackers to do so. Were those comments real? Nothing I’ve been able to find supports Roberts claims. To the best that I’ve been able to determine, the ad against Milton Wolfe is a complete fabrication. It the comments were accurate, then Roberts broke the law by hacking Wolfe’s Facebook account or having it hacked. I suspect Roberts’ motivation is a poll that shows Wolfe has a strong following in Kansas. In the end, the question is more whom can you trust? Wolfe who has the facts readily available to support his claims about Roberts non-Kansas residency, or Roberts smear tactics? Personally, I will not support any candidate who chooses to use smear tactics as his primary campaign plan. Roberts is a long time establishment ‘Pub, a buddy of Mitch McConnell. It’s time for both of them to go. Local Missouri politics aren’t much, if any, better. Here in Cass County, the battle is between the current conservative ‘Pub candidates against the old county Oligarchy. Jeff Cox, whom I support both in time and money, is running for Presiding Commissioner. He was elected to fill a partial, two-year term to complete the term of the previous Commissioner who was removed from office, not for malfeasance, but because of an out-of-state felony conviction. I’ll not go into the background on that, it’s not pertinent in this election. In the previous county government, two ‘Pubs quit. One, when some questionable contracts were exposed, quit in mid-term. The other, also reportedly involved in questionable contracts and possible fraud, chose to not run for re-election. That last former commission now plans on being the county puppet-master with a personal string of proxy office holders. He already has one in office, the northern county commissioner. The county Auditor, Ron Johnson, has a primary opponent, too. That opponent is a former employee who was fired for cause and is now one of the Oligarchy’s puppets. It was Ron Johnson who exposed all the fraud and deceit in the former county administration. The Kansas City Star printed an expose about the machinations of the Cass County Oligarchy. A recent day in an upstairs office in the Cass County courthouse, Presiding Commissioner Jeff Cox used the acronym “BMT. BETHANY BASHIOUM | Special to The Star Tri-Gen, a generator built to provide electrical power to the Cass County Justice Center, was a failure. It was meant to use renewable energy from sweet sorghum silage to produce methane gas. County officials agreed in 2008 to build the generator at a cost of $15 million. The idea was to provide energy to the Justice Center and then sell leftover power on the open grid. But it turned out the county was prohibited by regulation from selling surplus power, a fact they were unaware of until threatened with litigation. County Auditor Ron Johnson smiled. “Before my time,” Johnson explained. These days, the two talk a lot about things before their time in office and they want to make sure people, particularly voters, know they were nowhere around when two of those things came to be. Because the county’s broadband fiber network and Tri-Gen, a generator built to provide electrical power to the Justice Center, both were colossal failures that the county will be paying on for years with nothing in return. Tri-Gen alone is costing the county $175,000 this budget year, not counting legal expenses. Both projects were approved by officials no longer in office. “Mistakes were made in recent years that will take years to recover from,” Cox said. Today, broadband is dead in the ditch and Tri-Gen is shut down and the subject of lawsuits. Gary Mallory, who was presiding commissioner when both projects began, declined to comment. Cox and Johnson hope voters this year don’t hold either of them responsible. They wonder, too, if ending the two projects has anything to do with them facing primary opposition in August. Killing broadband was difficult, Johnson said, but it was a decision that may have kept the county from filing for bankruptcy. “We had to take the least bad option,” Johnson said. To be sure, the county did go through a time of turmoil. The very day a newly elected presiding commissioner was sworn into office, the county prosecutor filed suit to remove him because of a felony conviction. Another commissioner resigned. The other chose not to seek re-election. All the while, the broadband and Tri-Gen projects — which began with high hopes and multimillion-dollar price tags — were struggling. Broadband kicked off in 2011 with the goal of providing high-speed Internet access to 12,000 households and hundreds of businesses in rural areas. The $26 million cost would come from government grants and low-interest loans. But the federal government withheld grants because of a delay in a county audit. Some contractors did not get paid. One filed suit against the county. The project suffered, too, from not having enough inspectors. Cox studied the viability of the project after taking office last year. He decided to kill it. It’s unknown how much money the county will eventually pay for the project. That will depend on the outcome of litigation and whether federal money ever comes through. Tri-Gen, which would use renewable energy from sweet sorghum silage to produce methane gas, came on board in 2008 when county officials agreed to build the generator at a cost of $15 million. The idea was to provide energy to the Justice Center and then sell leftover power on the open grid. But it turned out, they were prohibited by regulation from selling surplus power — a fact they were unaware of until threatened with litigation. But it didn’t matter much anyway because, according to Cox, the science behind the project wasn’t viable. Cox said a pilot project at the University of Central Missouri never worked. “You don’t build a multimillion-dollar generator without making sure the science works first,” Cox said. “It was a mistake. The county had no business getting involved in that. Last June, the county sued Universal Asset Management, the contractor for Tri-Gen, and the head of the company, Gary Lee. The suit alleges breach of contract, professional negligence, fraud and misrepresentation. Universal Asset Management was also the company behind the broadband project. The phone number listed on the company’s webpage is no longer in use. About a year earlier, Lee and UAM had sued Johnson and Cass County alleging breach of contract. Lee and his attorney could not be reached for comment. Meanwhile, the county is stuck with bills for both. This year’s budget shows $175,000 went to debt service for Tri-Gen, an outlay that may continue for decades. “When I think of all the things we could have used that money for — sheriff deputies, road repairs,” Cox said. “It’s hard not to be a little angry. What about that fired employee who is now running against Ron Johnson? He was fired for releasing documents, without authority, to UAM. His mentor in his campaign against Ron Johnson is an employee of UAM, the former county commissioner who was deeply involved in issuing those fraudulent contracts to UAM. Millions of dollars in those contracts are still unaccounted for and the basis for a number of lawsuits. What is the motivation of this clandestine oligarchy? Perhaps it is an attempt to hide their actions being investigated by federal authorities. Perhaps it is an attempt to gain control of those offices whose current holders exposed their actions. Control of those offices would allow them to hinder further investigation. Or, perhaps, it is just plain, old, lust for power by any means. Whatever the motivation, their tactics should be familiar to anyone observant to county politics. They use the same tactics as do democrats. But there are honest, ethical commissioners in the county, Jeff Cox and one other commissioner. Who is Cox’s best ally in regaining fiscal health to the county? It is the southern county commission—a democrat. The other commissioner, a supposed ‘Pub who hasn’t met a TIF he didn’t like, is a member of the Oligarchy. Many of the county executive decisions are made with a two-vote majority (of the three possible votes.) That majority is Jeff Cox, the presiding commissioner, and the democrat southern commissioner. It’s significant when the democrat southern commissioner is more interested and involved in keeping the county’s finances in the black while the so-called ‘pub, northern commissioner wants to spend, spend, spend. It must be a written Washington rule that announcements that are embarrassing to the government or federal institutions must only be released after the end of business on Friday. In this particular case, the news was publicized on Saturday. The charges against Capt. 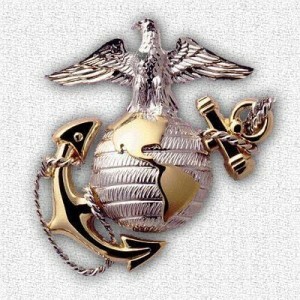 James V. Clement, USMC, for Dereliction of Duty, has been “suddenly” dropped. The Captain, and others, were charged in the infamous Taliban urination video case. What at first appeared to be a case against the Captain and his men, changed into one of “unlawful command interference.” A pretrial hearing was scheduled and Captain Clement’s defense attorney was about to call Marine Commandant, General. James F. Amos, to submit and explain his comments in e-mails to subordinates and the prosecution concerning Captain Clement and the charges. Defense attorneys for Capt. James V. Clement had won a judge’s order, over objections from Marine prosecutors, for two staff attorneys to testify in open court about how senior commanders interfered in the case to get a guilty verdict. The attorneys also were seeking to question Gen. James F. Amos, the commandant, and wanted access to his private emails. — The Washington Times. Instead of complying with the order, the convening authority, Lt. Gen. Kenneth J. Glueck, who heads Marine Corps Combat Development Command in Quantico, Va., filed a brief withdrawing the charges. John Dowd, Capt. Clement’s principal defense counsel, accused the commandant of engineering the largest case of unlawful command influence in the Corps’ history. “The withdrawal of the charges was another act of cowardice by the commandant, his counsel and the Judge Advocate Division of [Marine Corps headquarters] to cover up the worst case of unlawful command influence in the history of the Marine Corps, which was beginning next Wednesday to be uncovered in a hearing before the chief judge … on several motions to compel discovery,” Mr. Dowd said Saturday. The defense attorney said he wanted to see email traffic among the commandant, his counsel and his legal division. “That email traffic would have revealed that [the commandant] and his lawyers had engaged in a secret, corrupt effort to rig and control the investigations and dispositions of the so-called desecration cases until Capt. Clement refused to submit to a corrupt process [of being] charged with crimes he did not commit,” Mr. Dowd said. Capt. Clement’s defense counsel obtained a sworn statement from Lt. Gen. Thomas D. Waldhauser who, as convening authority, was overseeing all cases in the urination incident. The general told of a one-on-one meeting in 2012 with Gen. Amos in which the commandant said he wanted Marine defendants “crushed” via courts-martial. — The Washington Times. Dropping the charges, however, does not end the story. Captain Clements defense attorneys have filed charges against General Amos with the Pentagon Inspector General. Citing that conversation, Capt. Clement’s attorneys accused the commandant of blatant unlawful command influence that denied their client a fair court-martial. They filed a motion to dismiss the charges, thus setting up a series of public pretrial hearings on Gen. Amos’ conduct scheduled to begin Wednesday. Capt. Clement was charged with dereliction of duty for not properly supervising Marines who urinated on Taliban corpses. A video of the act went viral on YouTube last year, drawing harsh criticism from the White House. The captain denies any misconduct. Maj. James Weirick, a staff attorney at Quantico who was to testify Wednesday, filed a complaint with the Pentagon inspector general over Gen. Amos’ actions. An investigation is underway. — The Washington Times. Over the past few years, especially since the beginning of the Obama administration, the top layers of our military have been selected not for their ability to lead, fight and win wars, but to support the administration’s liberal political agenda. This trend has tainted the military. Company and Field-grade officers are leaving in droves taking with them a military heritage leading back to the formation of our country. This is not an isolated case, it just became public and blew up in the Marine Commandant’s face. Instead of “crushing” Captain Clements, General Amos will now have to answer charges of his own misconduct. In a just world, General Amos would immediately resign along with the others involved in his unlawful orders. But, it is not a just world and I expect General Amos to follow the lead of Obama, Holder and the examples of other followers of Obama’s corrupt administration. General Amos future is still to be determined. He may, like so many others who blindly followed Obama, find himself thrown “under the bus.” Or, like Holder, Neapolitano and others, simply refuse to acknowledge his acts and to cooperate with the investigation. In the end, it damages the faith of the nation with its military leaders. General Amos, if events go against him, will likely be allowed to retire with full benefits.